I've thrown myself into a new and hopefully fun engine build. Not my engine, but I'm doing the planning and the wrenching. Dropped the engine this weekend, and I started to dig in right away. It's a US spec 3.2 long block, fed by a '78 CIS. Stock exhaust manifold and a nice Dansk sport exhaust. 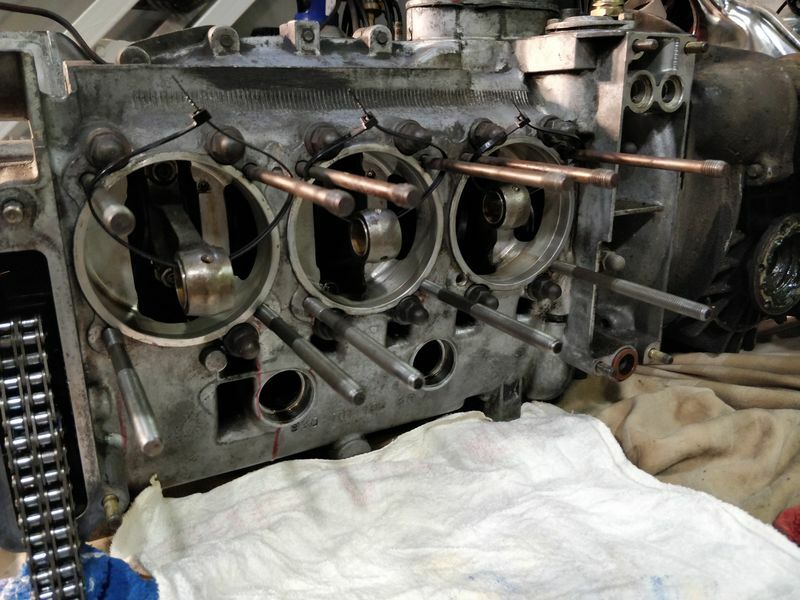 We need to fix some oil leaks on the way, but the owner is really looking for more power and would like to have a shiny new engine, so cleaning and painting is warranted. 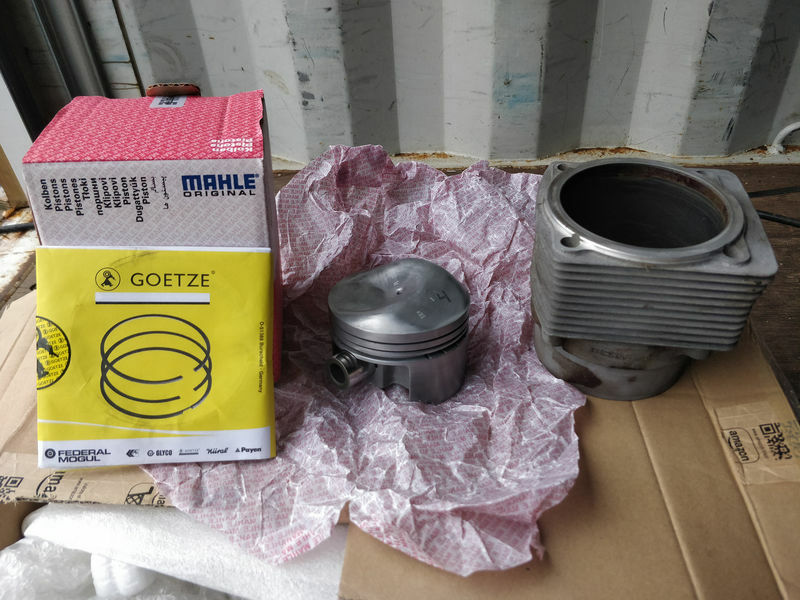 So that's our starting point: New 3.2 Euro pistons and Mahle cylinders. 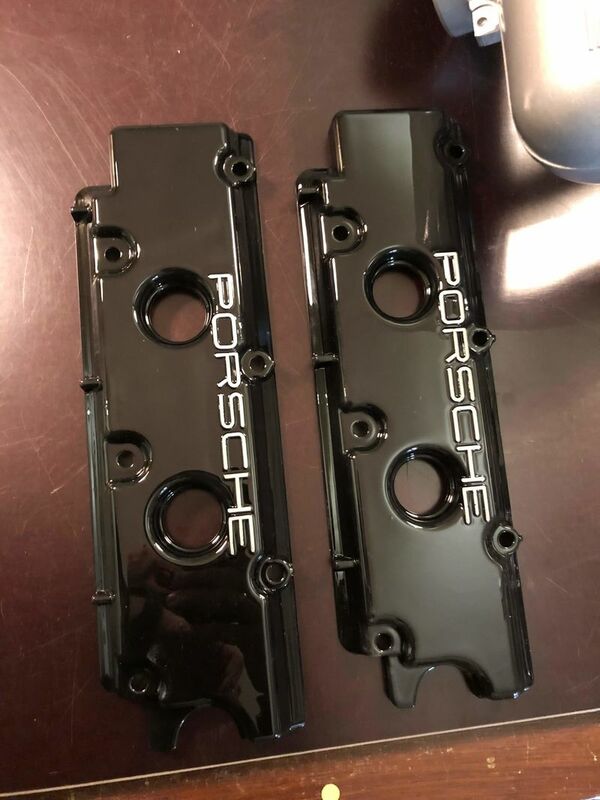 Original 3.2 manifolds. And a MS ECU on the shelf, so we're going EFI. I would like to use 20/21 cams if I can get the stock ones re-ground. Trying to convince the owner to change the exhaust - we will see. I could use some advice on the EFI. I believe 30lb injectors should be able to do the job. But looking at the manifold, I think the injector sleeve is very small and not very deep. Any suggestions for a suitable injector? Also: The engine has none of the original 3.2 sensors and no idle valve. I will add the usual sensors for oil temperature, manifold air temp etc. and we are debating wether to use the Bosch CDI and SC dizzy or go full ignition via MS. Budget is an issue here. I've done several EFI conversions on 3.0's both with original manifold and ITB's. I haven't used the AAR so far, which hasn't been a problem. Do we need the idle control valve (or AAR) on the 3.2 manifold? I also expect the 931's will also have enough headroom for my 3.4 litre conversion with full sequential injection. They could be close to 100% duty cycle for your 3.4 build, don't you think? 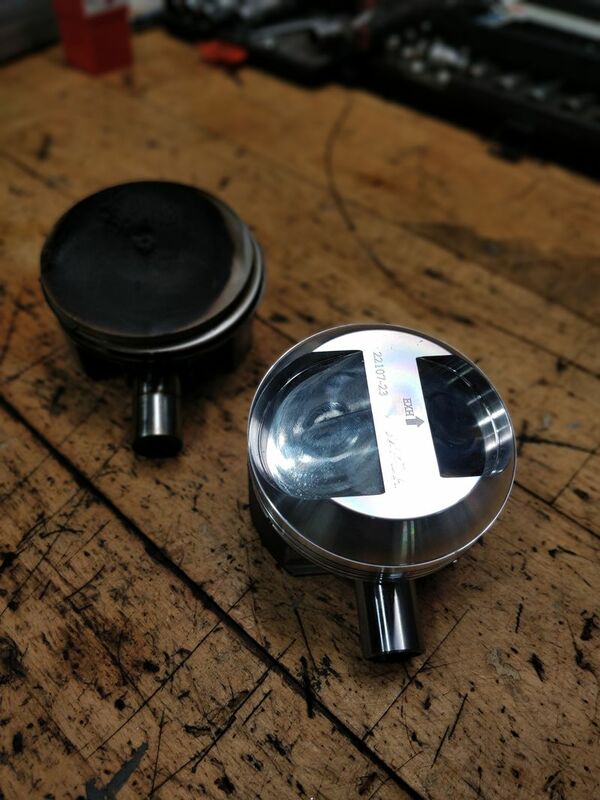 You do not absolutely need an electronic IAC valve, you can set the warm idle with the throttle stop. But, if the car does not have a hand throttle, it make cold starts hard. You could use the CIS AAR for cold starts. What version of Megasquirt and firmware are you planning to use. A lot of people use Ford EDIS wasted spark for ignition which is fairly cheap to install, but the stock ignition can be retained if desired. 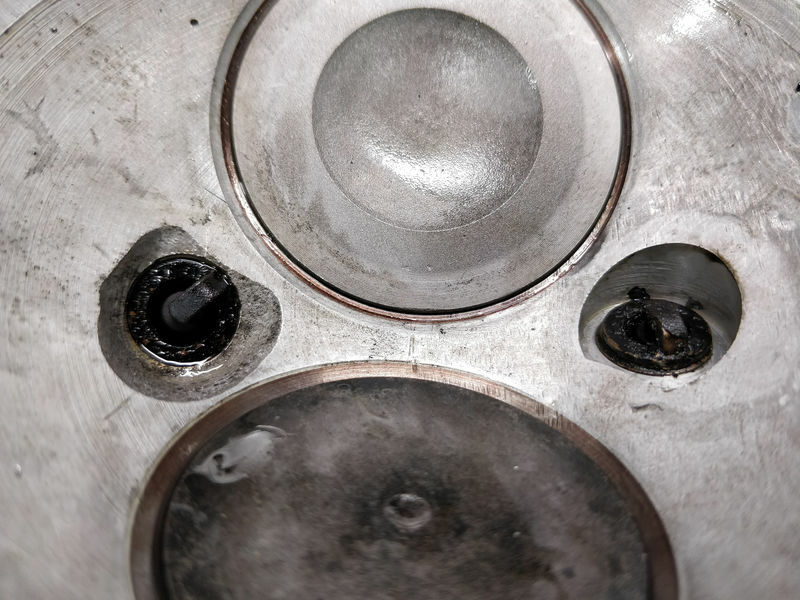 i dont know why you would not want the idle control valve. why go to the trouble to put modern injection on it to not have modern features. Also do the full electronic ignition. its well worth it. Well I guess you're right. I'm just considering my options, since the induction on this build will be completely from scratch. There is nothing right now - besides a good looking raw manifold. I have both MS1 extra and MS2. Never really tried MS3. MS1 extra is perhaps a little rudimentary, but does the job. The MS2 firmware is 3.1.0 and has the EDIS option. A completely new MS2 ECU is about 700$ over here, so not too bad in case the one I have doesn't work correct. well things have changed. 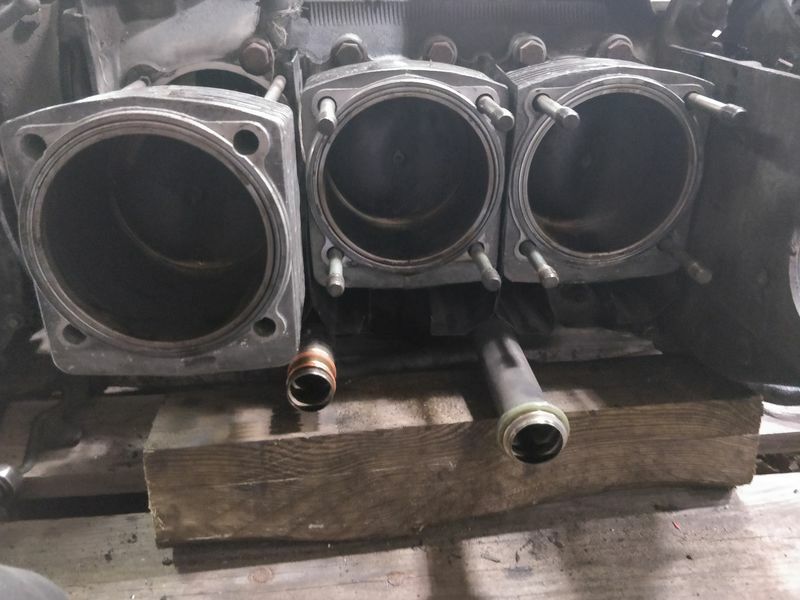 I noticed after pulling the CIS, that the heads were not from a 3.2 as the owner had been told....And I should have seen this when we pulled the exhaust. So standard early SC heads then. No porting. It's a 3.2 case, so maybe they put together a 3.2 with a big-port CIS top then? Erheemmm allright, change of plans then! 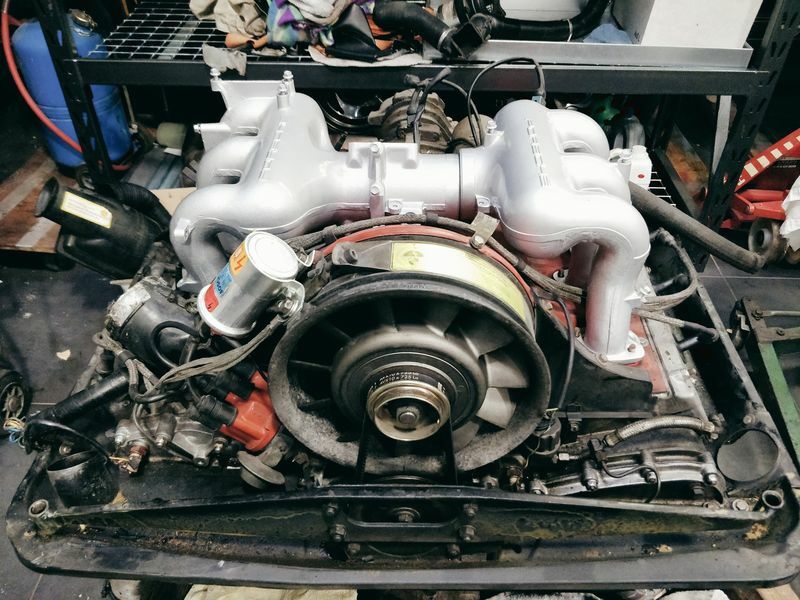 Current plan: Wössner 10.5:1 CR pistons, 993SS cam, Twin plug, EFI on the 3.2 manifold and finished off with SSI's or maybe the new M&K active exhaust. The engine was rebuilt less than 30tm ago, so we're not going to split the case. I suppose it is possible to check the #3 rod bearing without splitting the case to make sure? For the idle control valve, Volvo uses the same one that is far cheaper than the Porsche one. Gotta love the Porsche tax! Found the oil leak: Broken top seal. I've been thinking about cams.....again. I know the 993SS/10.5cr/plenum/EFI combo works. 964 and 20/21 are too mild for my taste. Maybe you guys have an alternative? 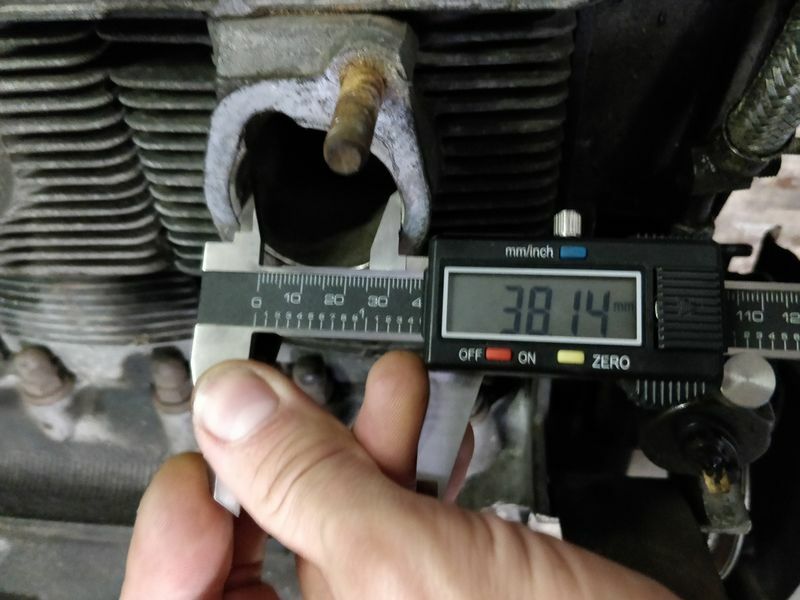 Re your injector injector question, I'm running Ford Motorsport purple 24 lb on my 3.4 10:1 compression with MS2 management and duty cycle is no more than 50% . As they are a EV6 connector, a new harness had to be made up, no biggie. This is on a 3.2 engine with 964 cams, no barn door air floor meter, stock heat exchangers with no cat and free flow muffler. 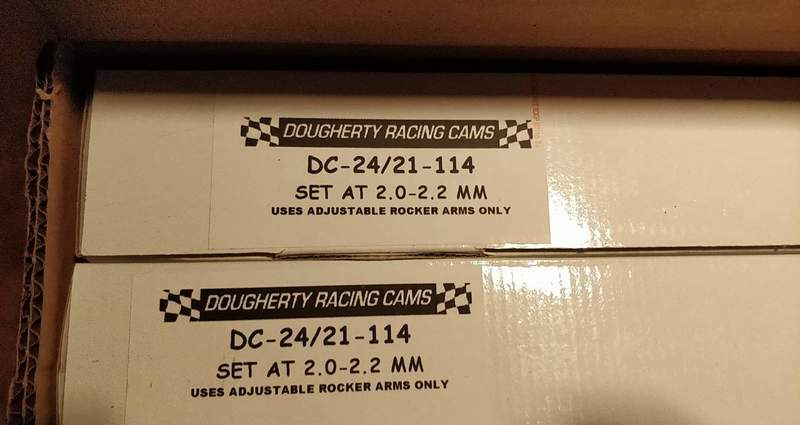 Last edited by brighton911; 12-03-2018 at 02:38 PM..
Dougherty special grind DC24/21 cams are on the way from the US. Wössner 10.5:1 pistons are inbound from UK, heads are being twin plugged in DK. Head studs changed, wiring is ready for EFI and engine is ready for a shiny new finish. Should be good! That's interesting. 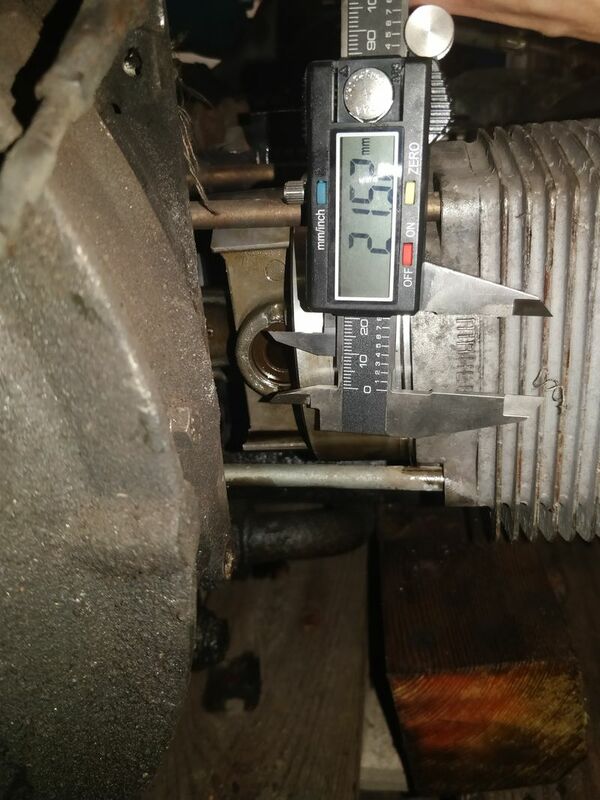 I just adjusted (raised) fuel pressure to some 60psi on a 3L semi-race engine running twin plug ITB EFI using those same injectors because it was getting too close to the duty cycle max at high rpm (7k+). Engine makes about 300bhp. 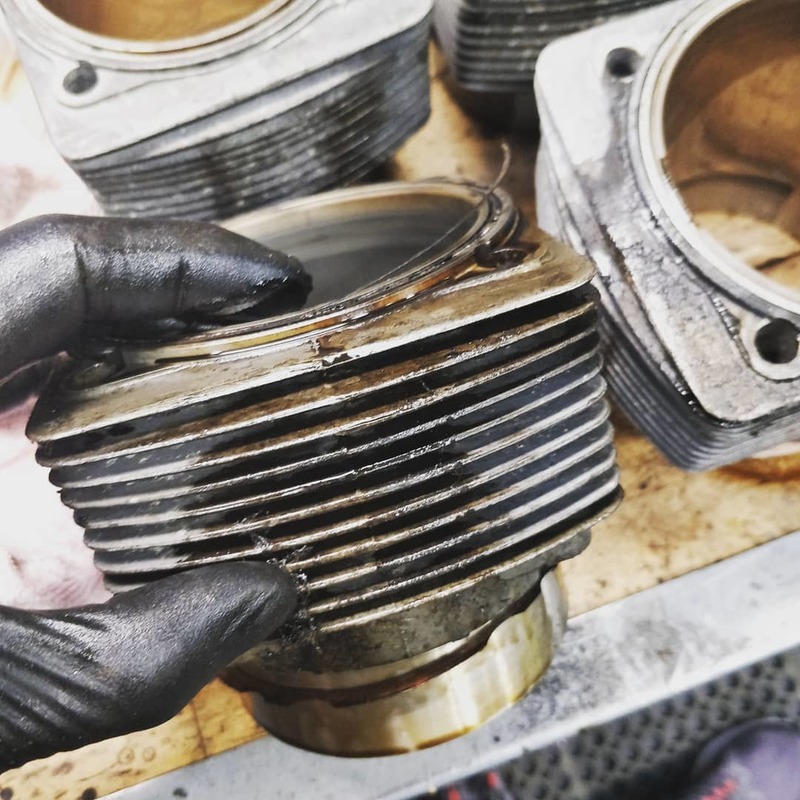 are you dumping the old SC cylinders too? Haha don't think I haven't thunk about it! I really injoy working in these cars. And the engine is my absolute favorite! We all use 100 or even 102 RON here. Sadly no. Budget is tight. Finally I've got all the parts home again. 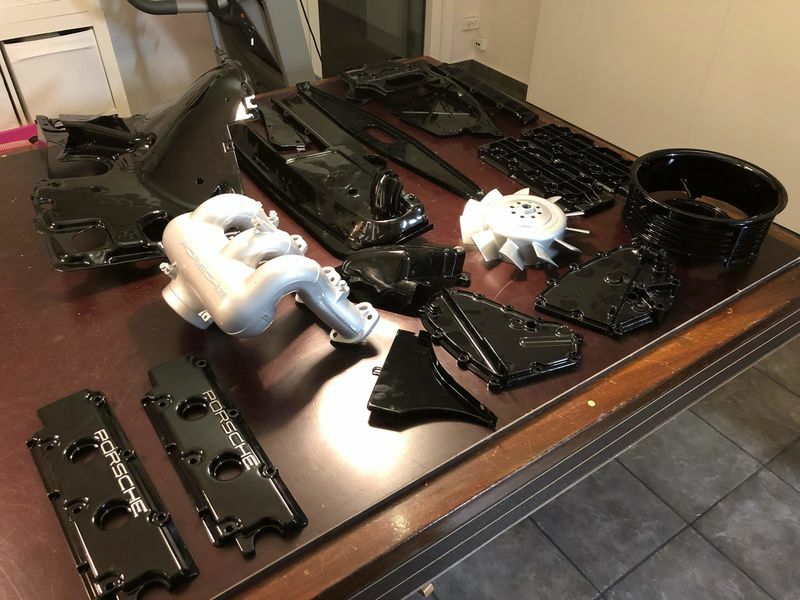 Powdercoated everything. Heads opened up to 41.5mm and matched to the 3.2 Carrera intake. Ported nicely - and twin plugged of course. However, I noticed that the new plug hole sits a little deep. This means that the plug will protrude somewhat in to the combustion chamber. I'm worried that it actually might interfere with the piston. 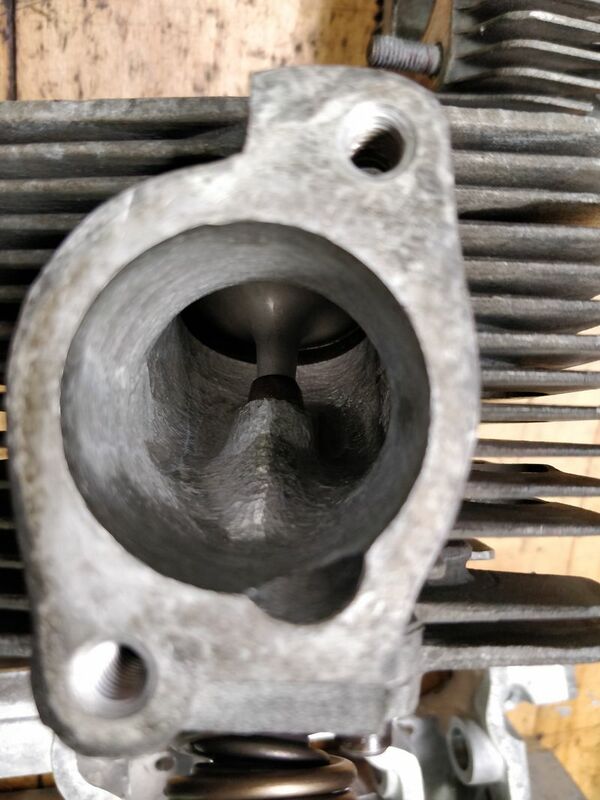 A little difficult to see, but the right plug is not level with surface of the combustion chamber. Should I shim it up a bit?? Twin plug dizzy on it's way from Tuthill, England. To be assembled in Denmark.